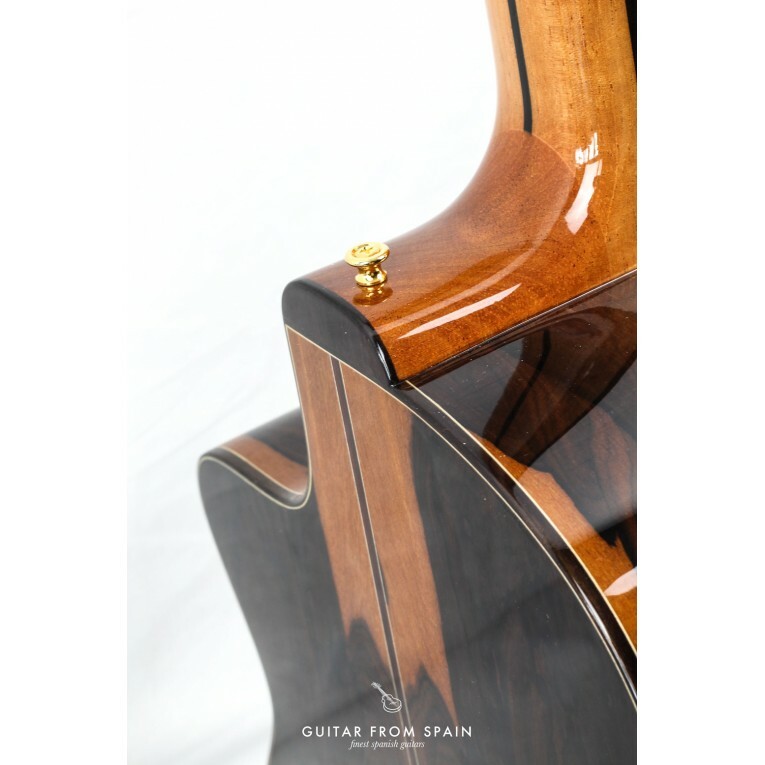 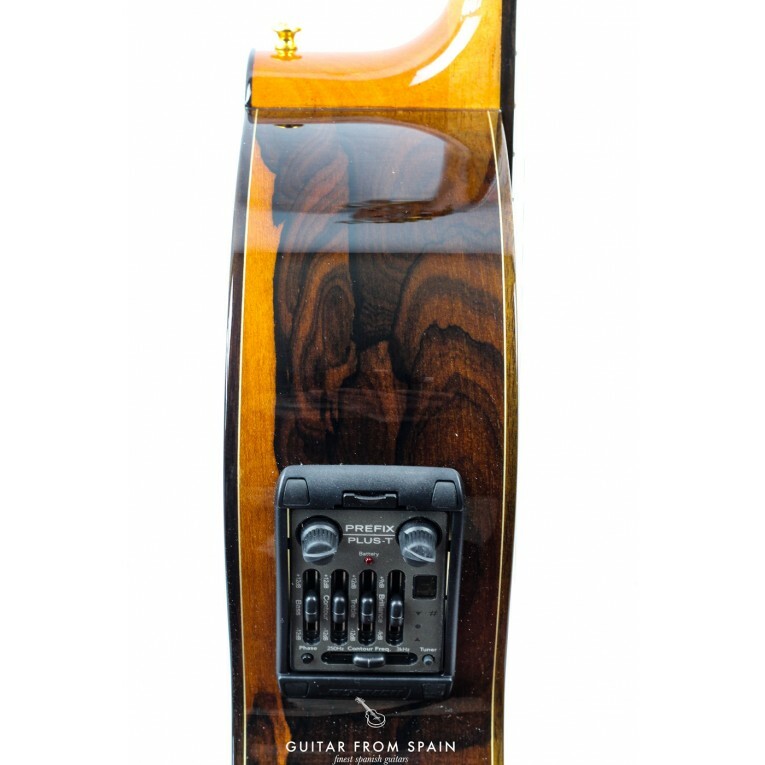 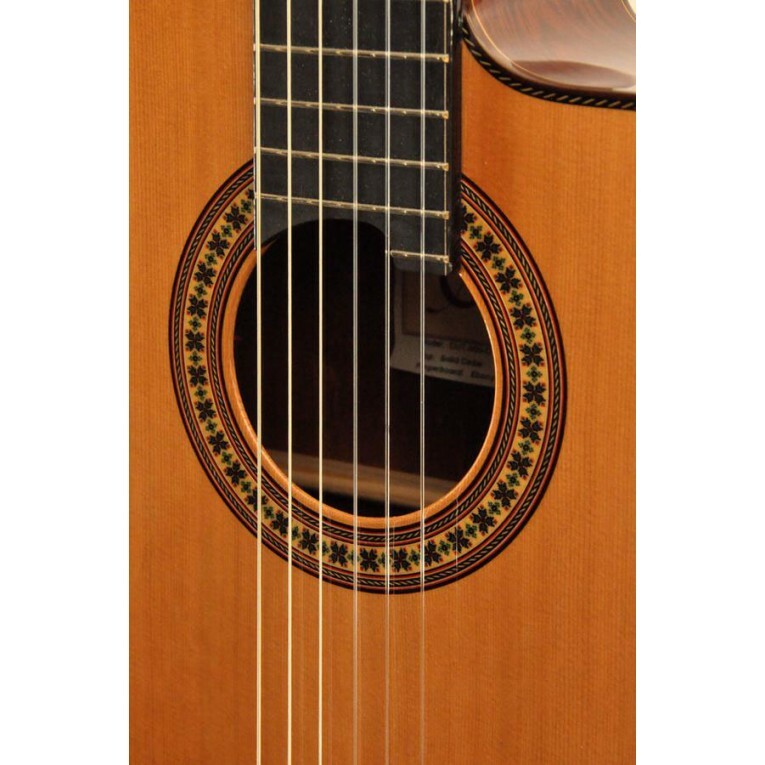 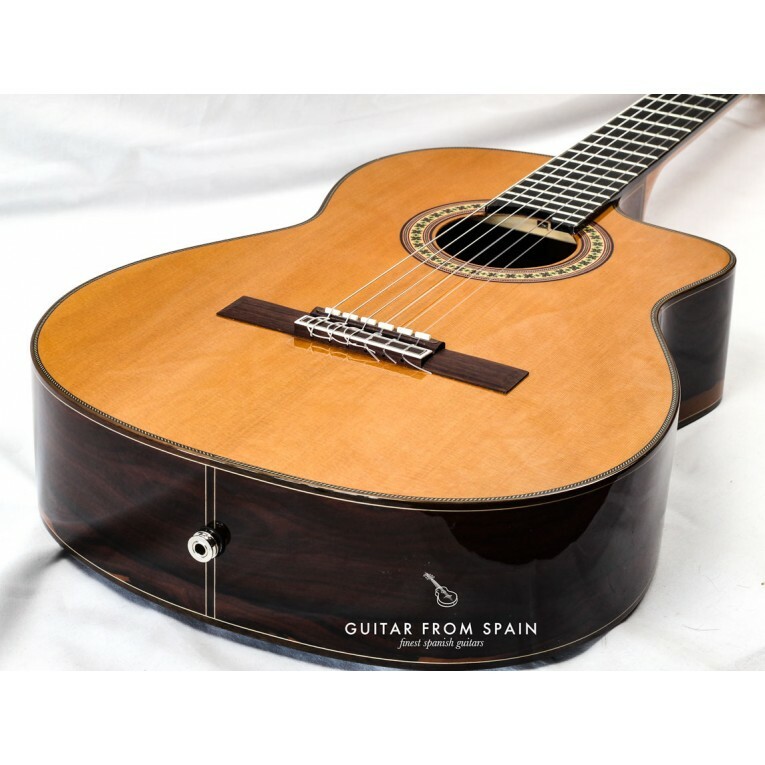 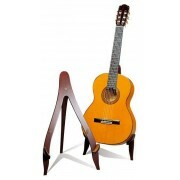 The guitar Camps CUT900 from Hermanos Camps is a professional electro-classical guitar Made in Spain. 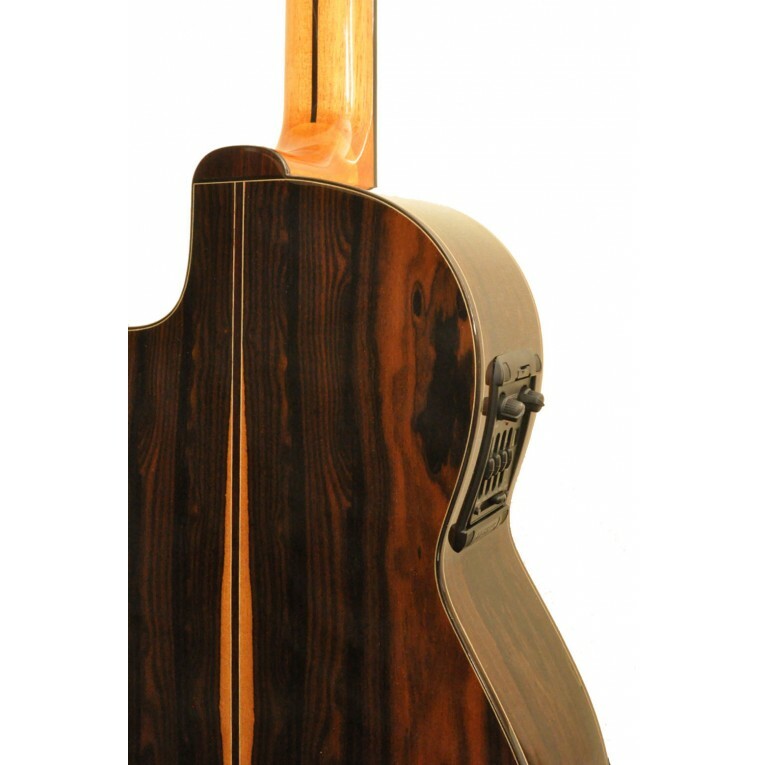 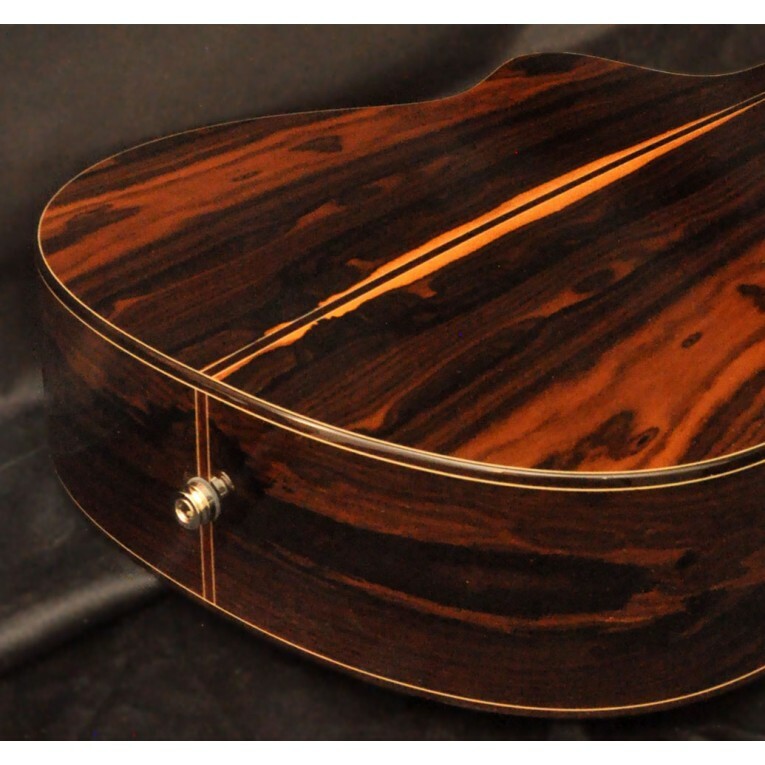 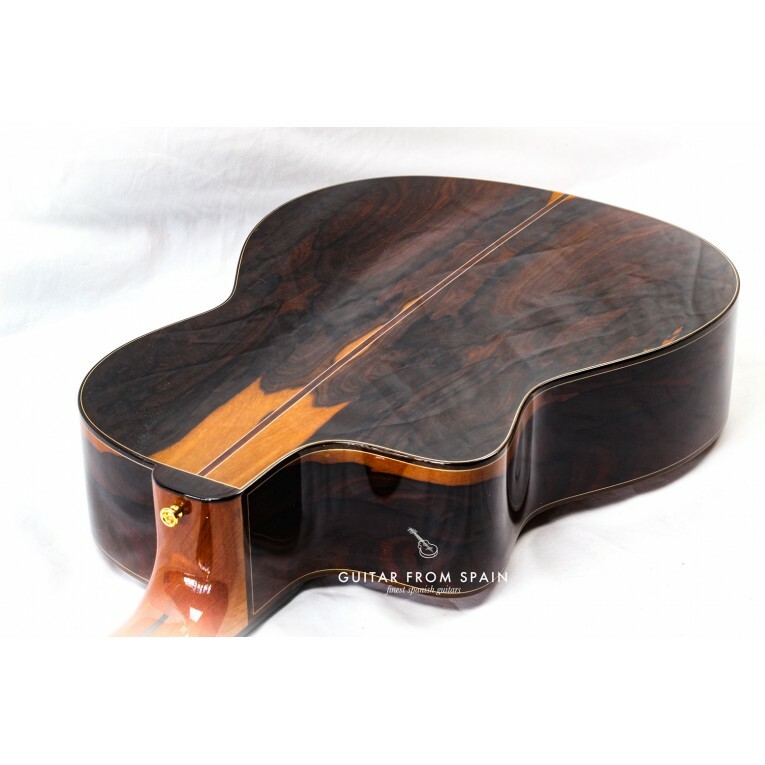 This guitar is aesthetically refined in an understated way, specially the beautiful Ziricote wood of the body. 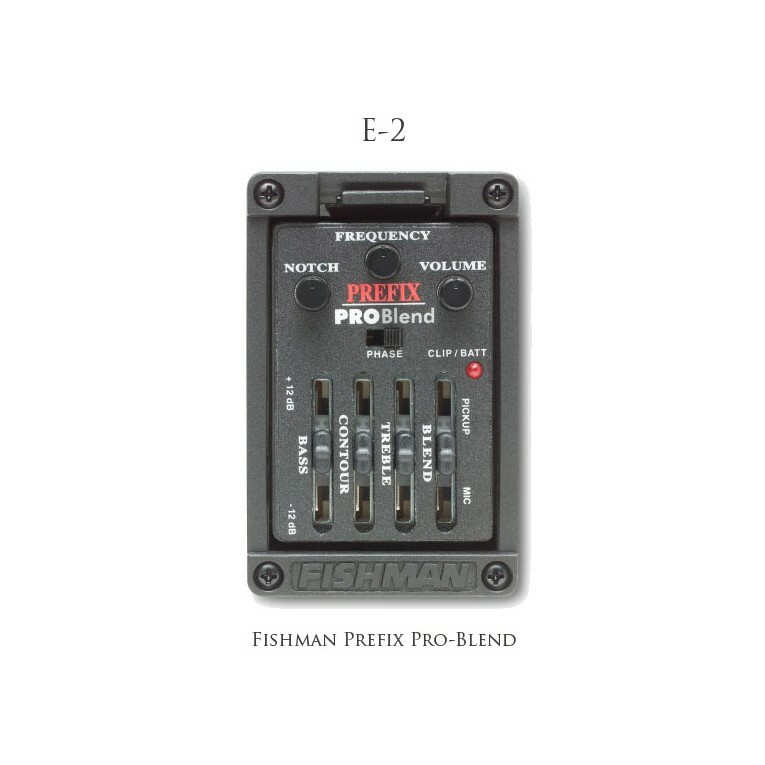 The sound has a huge projection; the basses are deep and powerful, but without shadowing, that allows stand out crystal trebles. 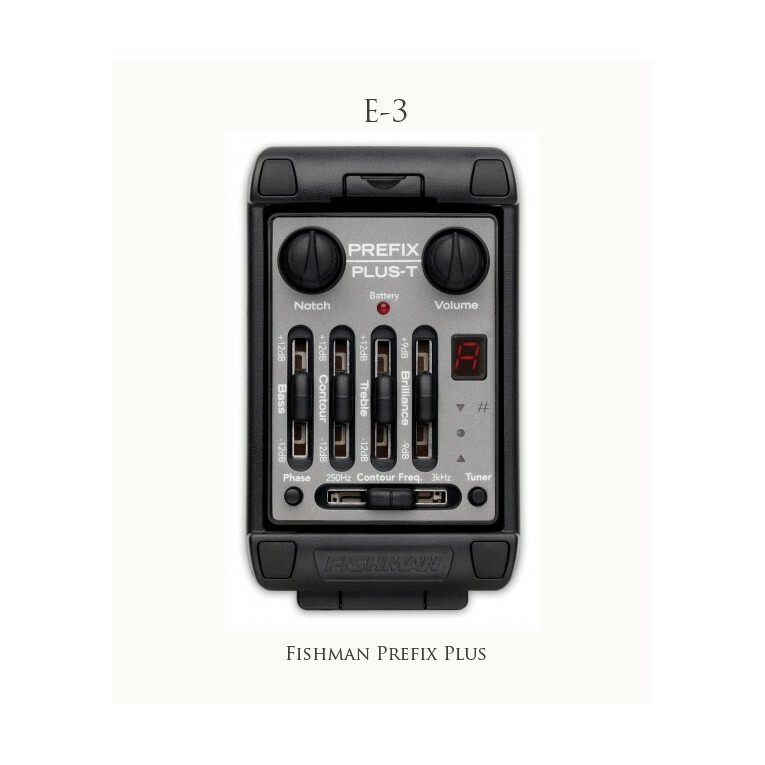 Quick response in every register. 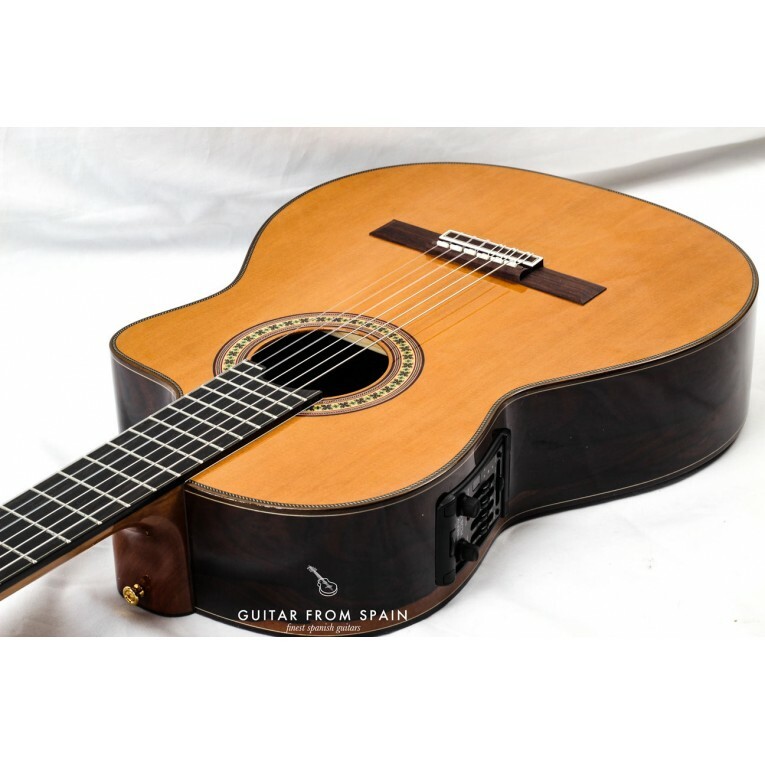 Comfort and playability are also remarkable. 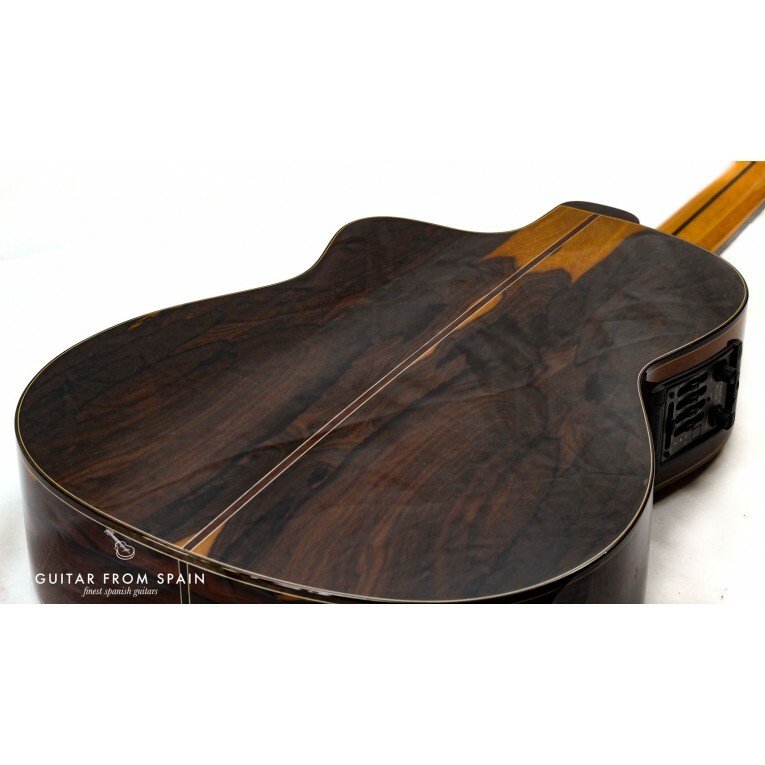 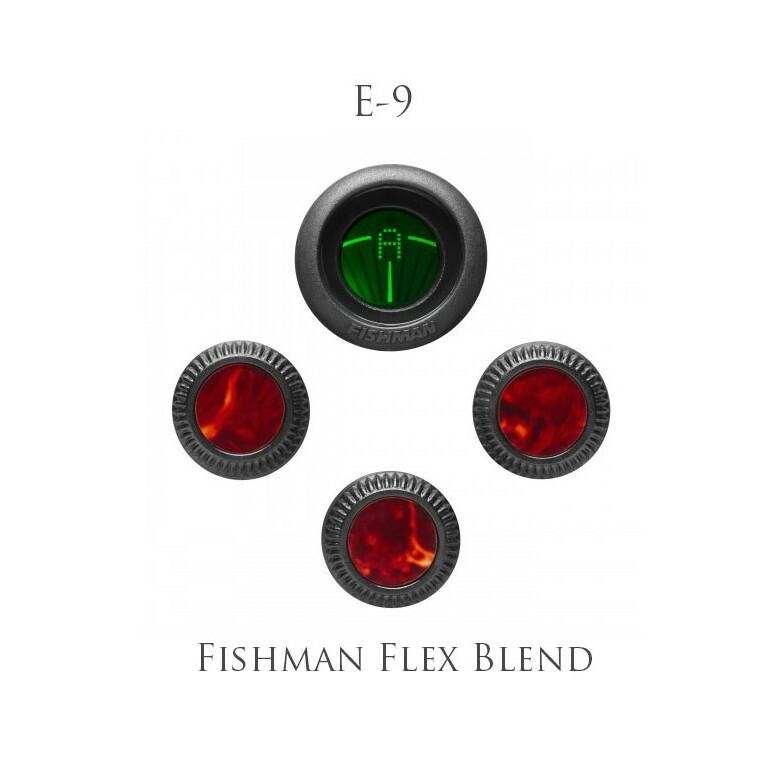 Thorough attention is paid to the adjustment of the action of the strings, the design and finish of the neck, all with the aim to make this guitar easy to play. 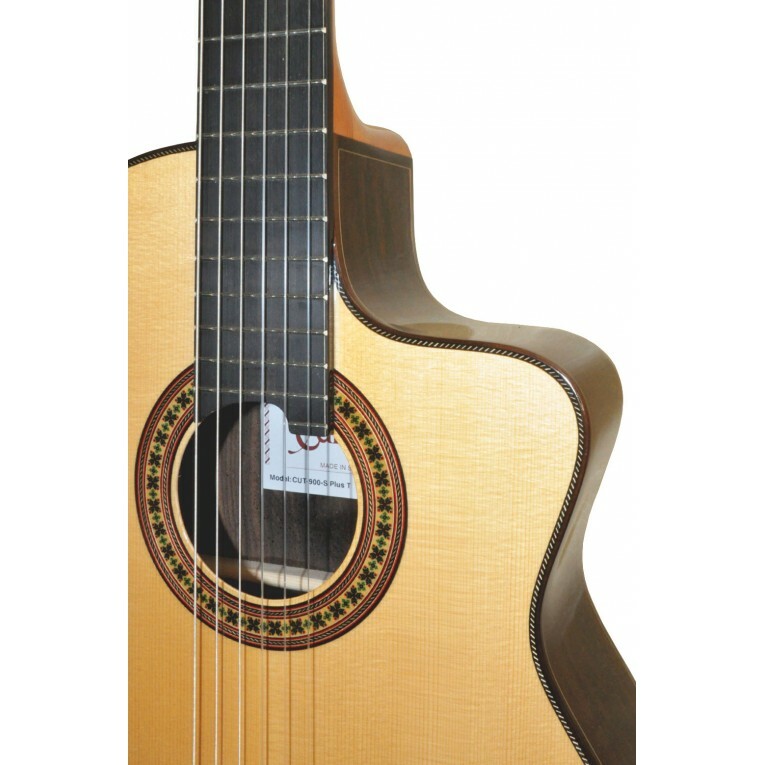 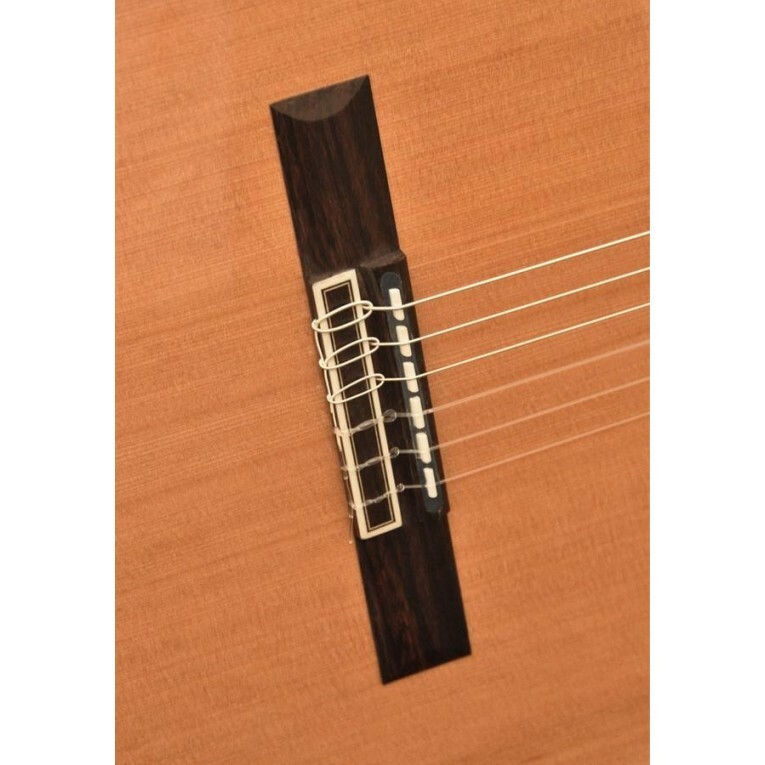 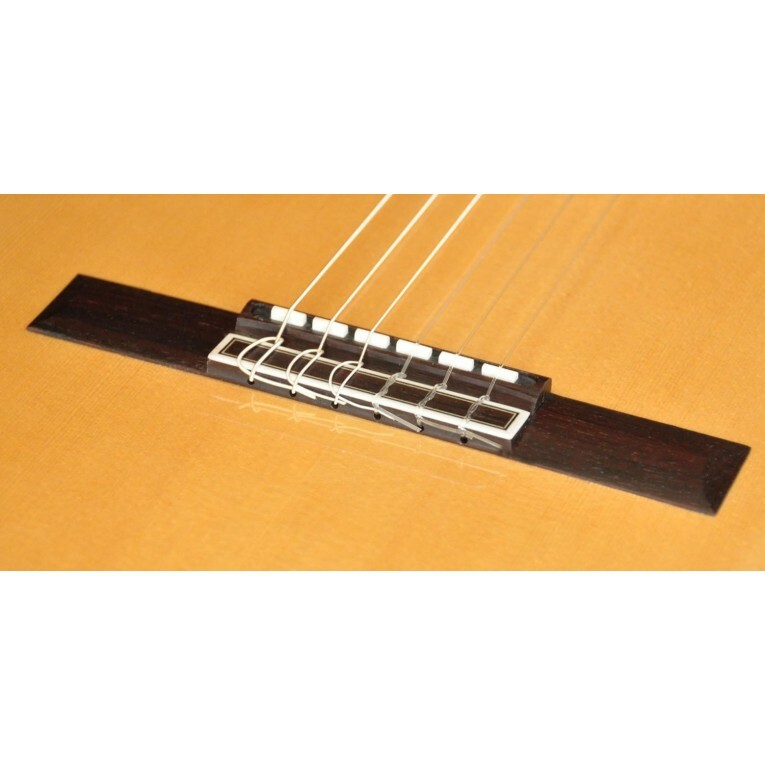 With cut-away body, the Camps CUT900 gets a wonderful playability at treble frets.